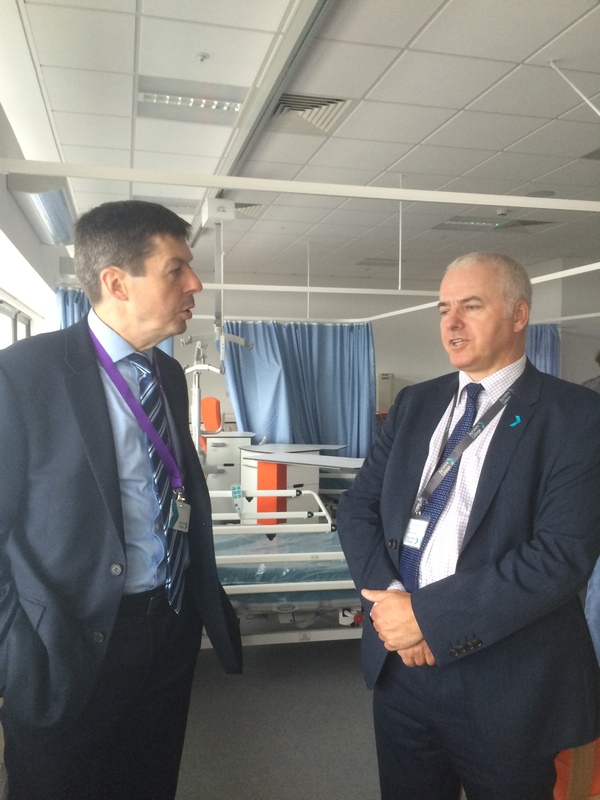 Recently I had the opportunity to visit the brand new Ayrshire College Campus in Kilmarnock. 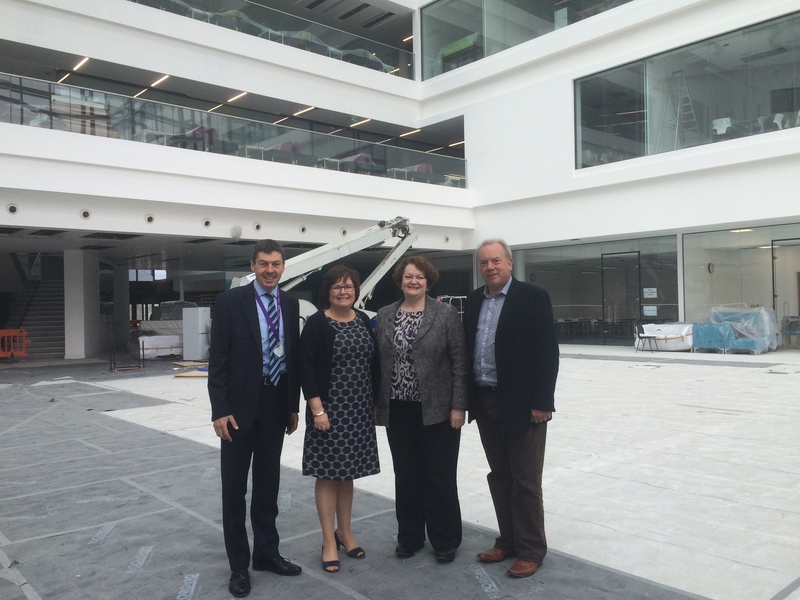 There, alongside Dr Philippa Whitford MP, I was shown around the brand new campus by Heather Dunk and Willie Mackie. The brand new campus which is just beside the main railway station in Kilmarnock is a fantastic brand new building which is sure to be something that will excite new students and help build a successful learning environment. I enjoyed learning of the wide range of subjects from Engineering and Science to Sports and Social Science showing the opportunities that young people across Ayrshire and the West of Scotland can hope to benefit from. You can follow the countdown to the opening of the new campus here and I would like to thank Ms Dunk and Mr Mackie once again for their hospitality whilst showing me about the campus. Sitting around one of the projects by college students. Learning more about the care training facilities. Left to Right. 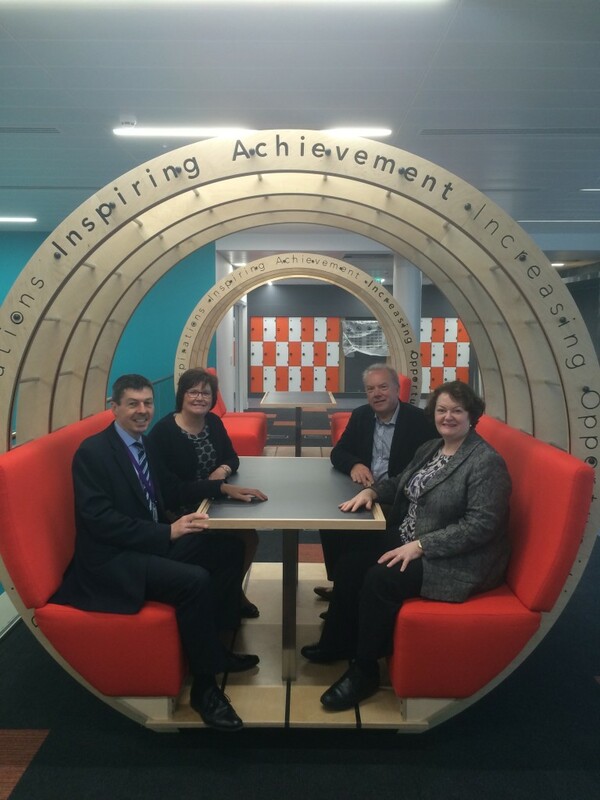 Ken Macintosh MSP, Heather Dunk OBE, Dr Philippa Whitford MP, Willie Mackie.